Memorial Day often means bar-b-ques with friends and family. If the official start of summer has you analyzing your outdoor dining area, we’ve included some tips from Houzz to create or refresh the perfect outdoor entertaining space. 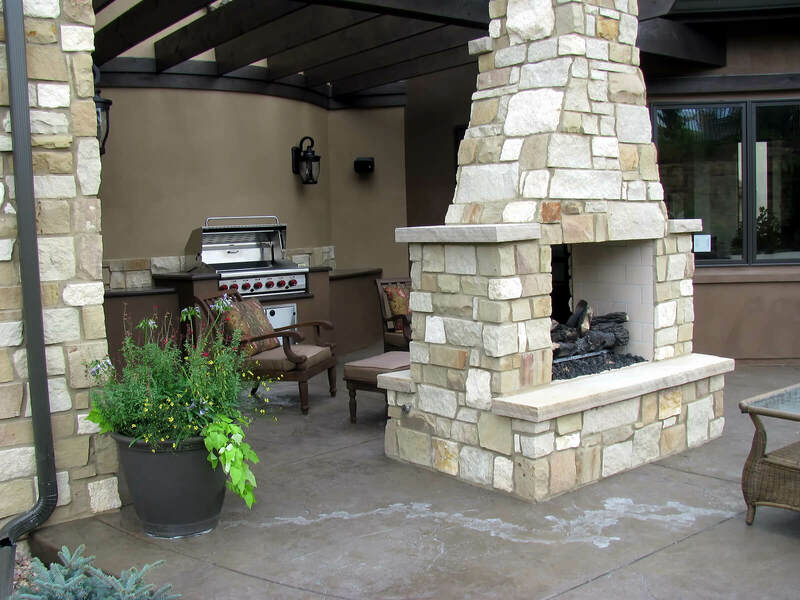 The experienced and highly-skilled team at KBC Remodeling Services in Longmont can help design, build and maintain your ideal outdoor dining room to enjoy this summer and throughout the year! Structure: You want your outdoor dining space to be an extension of your living space, somewhere that beckons to you to spend time in. Defining this outdoor room with an architectural element, be it a pergola, canopy or roof, will make it feel cozier. Shelter: Eating lunch outside isn’t appealing if the sun is beating down, and drying everything off after an afternoon rain storm for dinner al fresco is a chore. Protecting the outdoor dining area with some type of overhead shelter will increase the use of this space tenfold! Lighting: Besides setting the mood for a relaxing evening, installing lighting over the outdoor dining table will allow you to host outdoor dinner parties in the other months of the year when the sun sets earlier than in the summer. 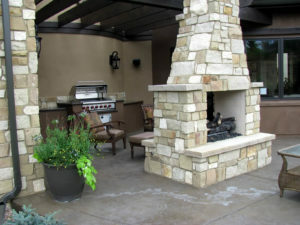 Task lighting for an outdoor kitchen is also essential. Heat Source: Another way to extend your enjoyment of an outdoor dining room is by adding heat sources to keep guests comfortable if the temps drop when the sun goes down. Fire pits also create great ambiance, and of course, the perfect way to roast s’mores! Flexible Seating: If your backyard has the room, consider adding a bar or installing a counter under a kitchen window to add seating with stools. Eating at a bar allows for less formal entertaining and more impromptu gatherings. Colorado is a beautiful state to spend time outdoors, including in your own backyard! If you would like to extend your living space into a functional and beautiful outdoor dining room, enlist the help of KBC Remodeling Services this summer!